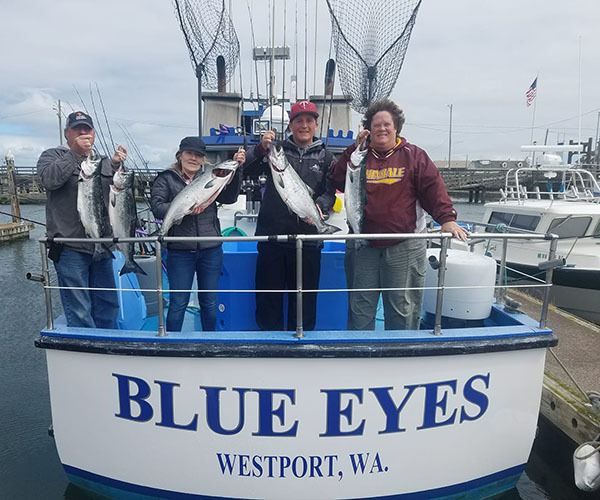 Captain Rick Schmidt checked in from the Blue Eyes out of Deep Sea Charters in Westport. WA. The Salmon fishing today was pretty good compared to what it has been. Lots of bites and lost fish, and several we had to let go. Ended the day with 4 coho and 4 kings. We still have plenty of availability thru the summer. 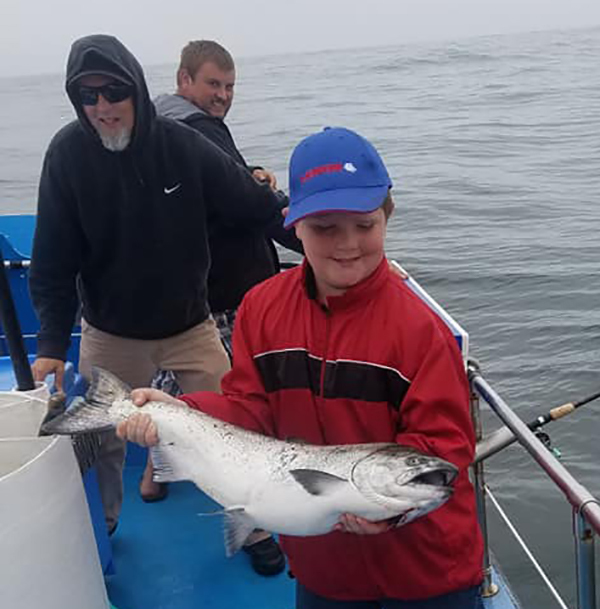 Bottom fishing salmon and combos thru August 23. 1 1/2 day tuna from late August until Sept 25. 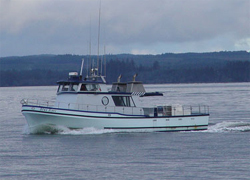 Call Deep Sea Charters (360) 268-9300 or online booking at deepseacharters.net. Captain Rick Schmidt is ready to take you fishing! The Blue Eyes is a comfortable charter boat that can take up to 22 passengers. 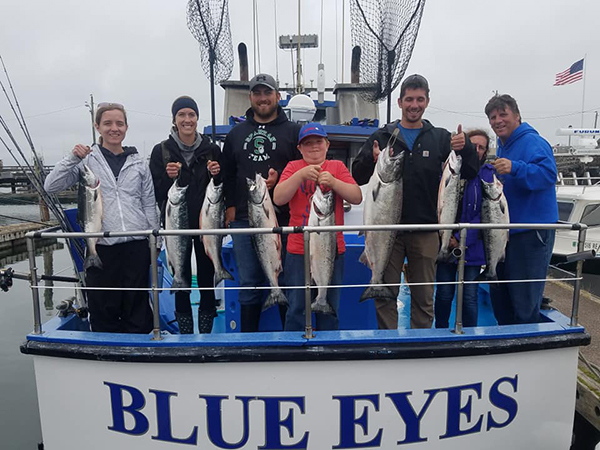 Please call Deep Sea Charters now at (360) 268-9300 and request the Blue Eyes.